Addicting sweetness served up with amazing dippers & fruity surprises in this gift set. 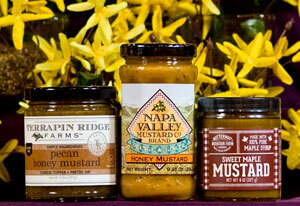 Butternut Mountain Farm Sweet Maple Mustard - a mustard for pancakes, really? Yes, this is the one!